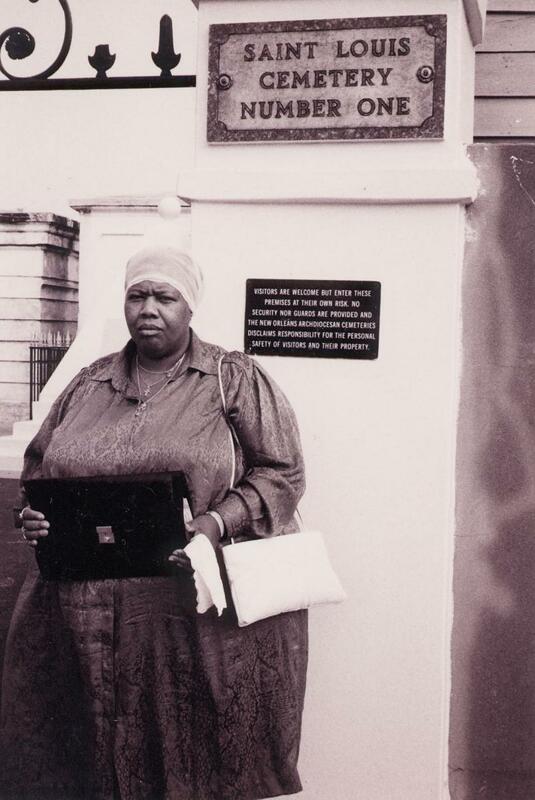 "Truth CANNOT be found until the LIE is RECOGNIZED." Holding Judges and Law Enforcement Accountable??? Watch a Youtube playlist of Lady Bishops interview with Larry King Here. Rev. 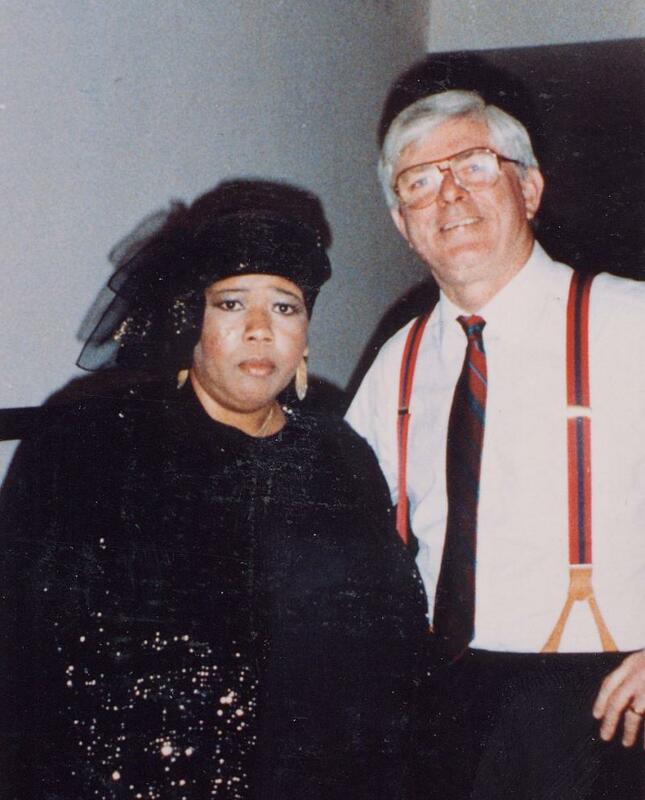 Dr. Lady Bishop visits with Phil Donahue. This is the website of Rev. 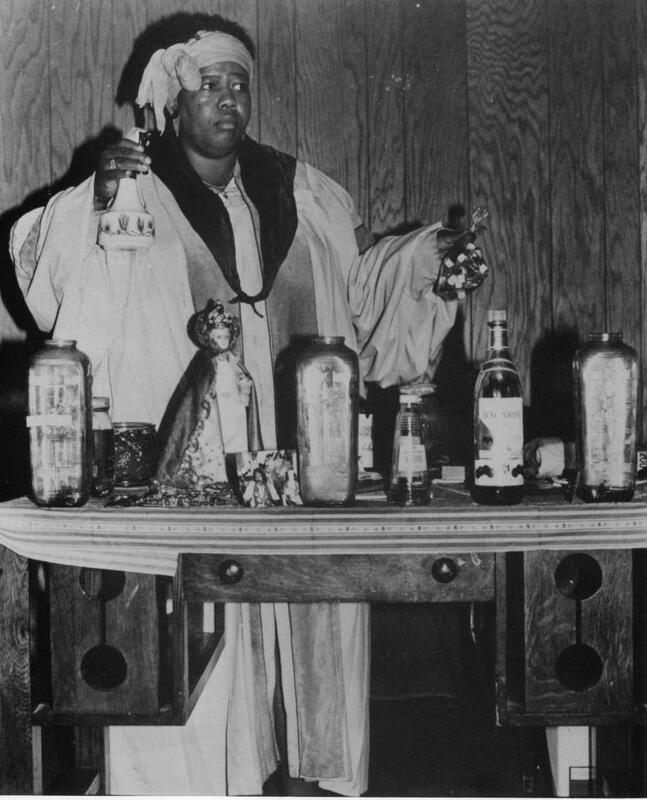 Dr. Lady Bishop, America's Premier Voodoo ﻿Priestess and internationally known seer from New Orleans, LA & The Hardest Part of Georgia from 1972 until 1991!!!!!!! 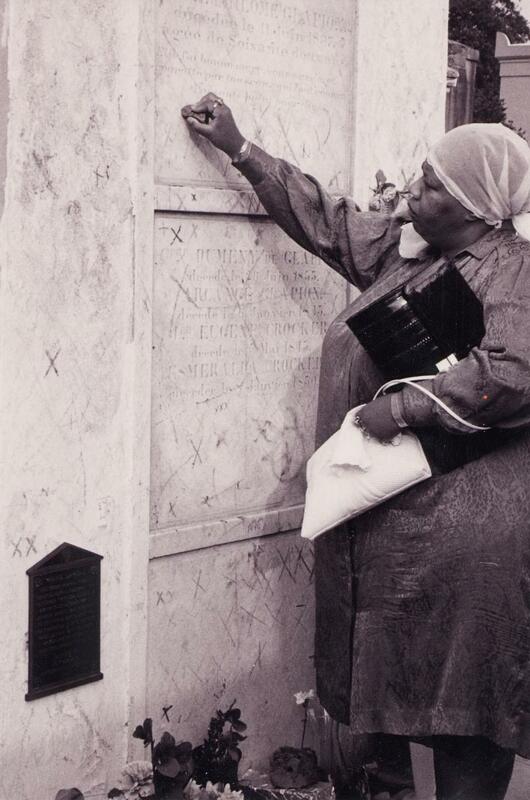 In 1991 she retired from being an Active Vodoo Priestess, when she left New Orleans. She now specializies in providing professional works in readings, spiritual advice, religious counseling, custom-made sacramentals, candles, and other meta-physical works. Over the next 7 year season God willing, Rev. Dr. Lady Bishop will be doing motovational speaking around the world. 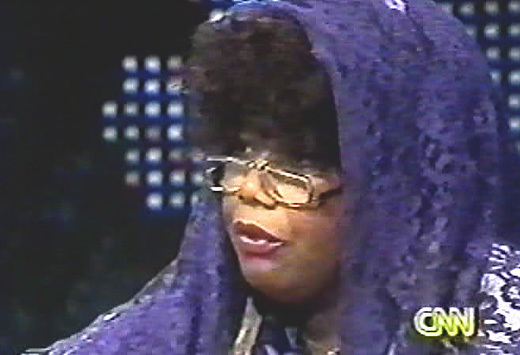 I was also Cleveland, OH's residential Voodoo Priestess. President and CEO of Gucci, Mr. Domenicio De Sole and Wife Eleanore, taking time in New Orleans to chat with Dr. Bishop at a private party hosted by Gucci. Rev. 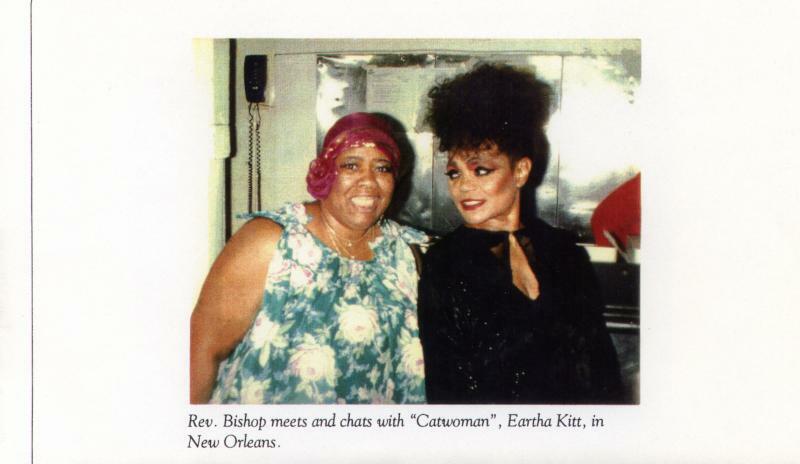 Bishop meets and chats with "Catwoman" Eartha Kitt in the kitchen at The Fairmont Hotel in New Orleans. 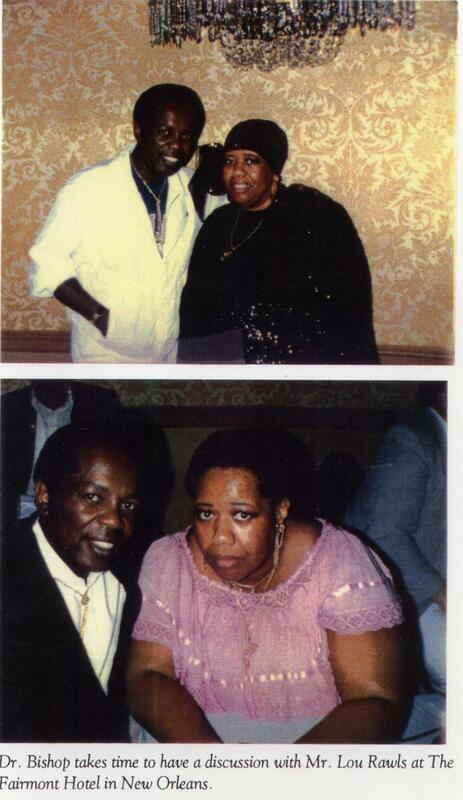 Dr. Bishop takes time to have dinner and a discussion with Lou Rawls at the Fairmont Hotel in New Orleans. Rev. 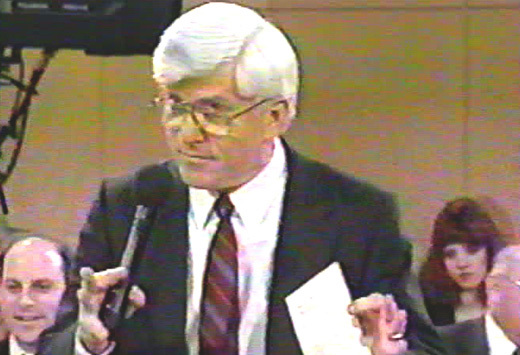 Bishop talks privately with blue-eyed Phil Donahue. March, 1988. 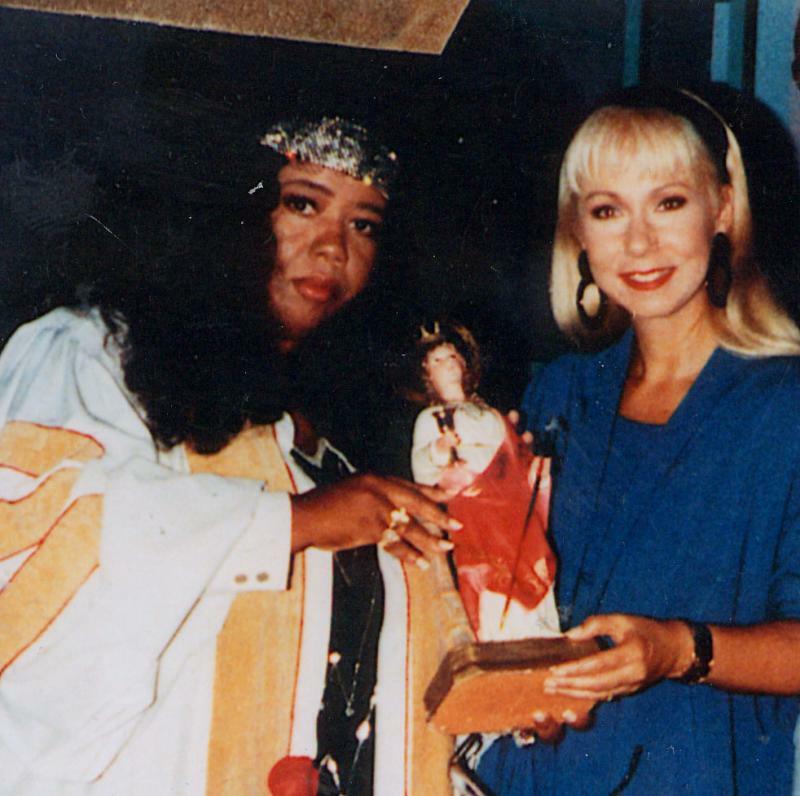 Lady Bishop presents a statue of St. Barbara, the love saint, to Cristina, the "Spanish Oprah". 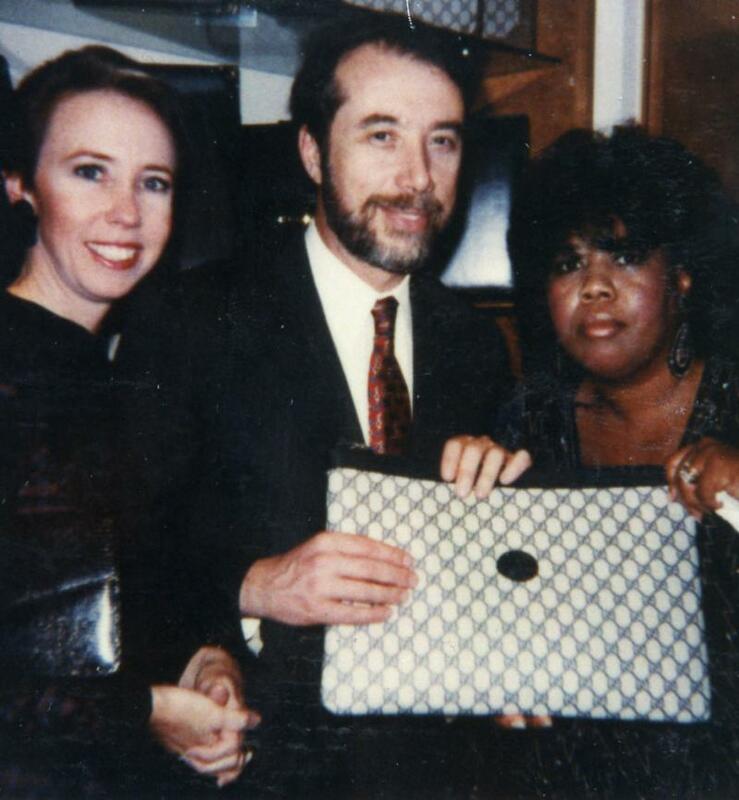 Dr. Bishop took time in New York to have deep conversation with motion picture star from "The Serpent and the Rainbow". Rev. 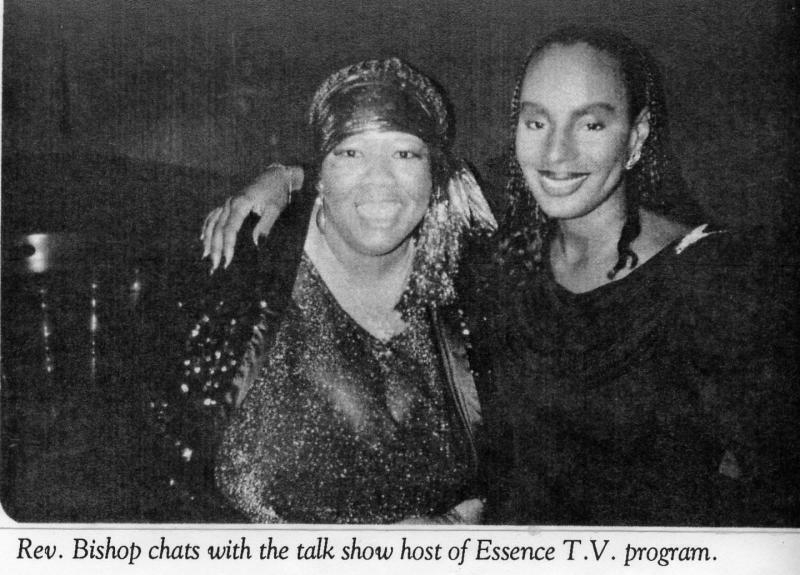 Bishop chats with the talk show host of Essence TV program Susan Taylor at the Essence Christmas party in New York City. "Big D" welcomes Dr. Bishop back to the Tempe Voodoo Daddy's Magic Kitchen and Bar. 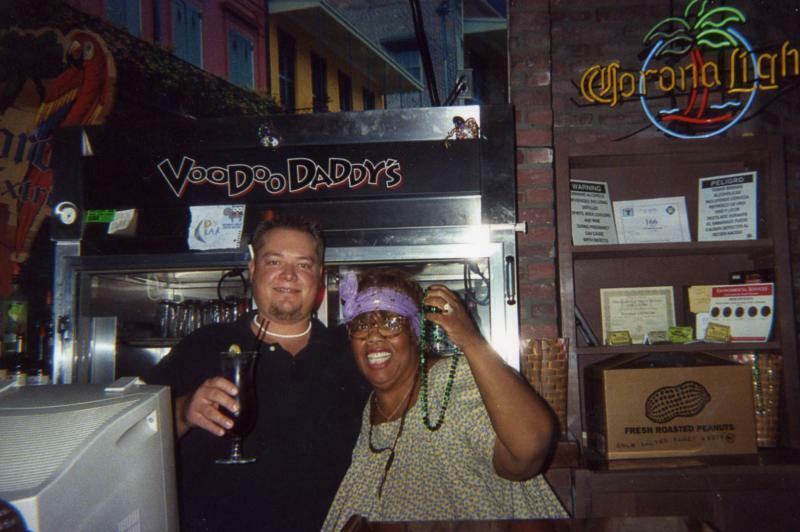 Dustin "Big D" has been the best manager/ bartender at Voodoo Daddy's Tempe for three watches. 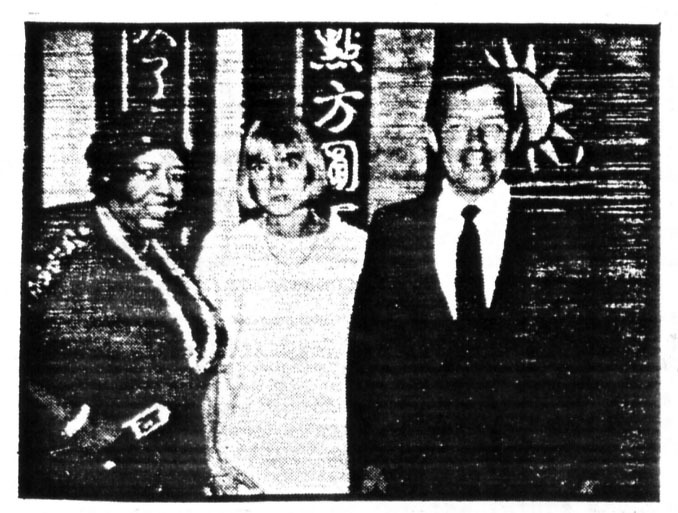 A smiling Mayor and Mrs. George Voinovich provide a warm welcome for Rev. 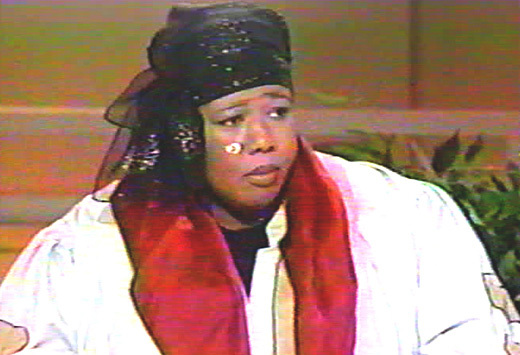 Dr. Lady Bishop upon her arrival in Cleveland, Ohio (1985). Rev. 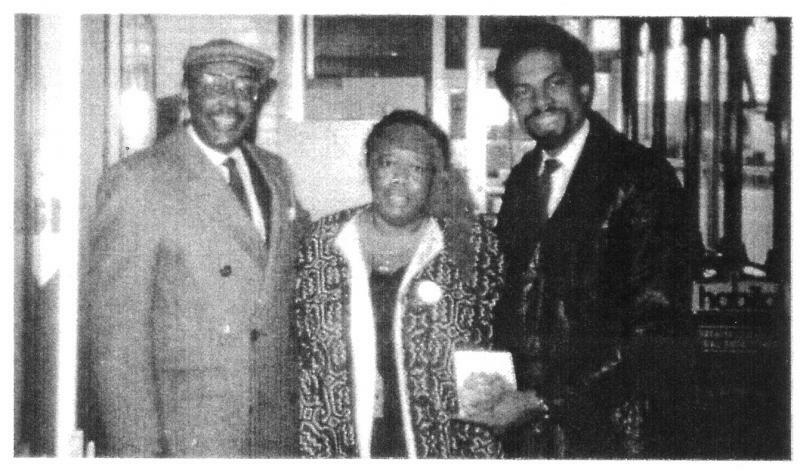 Bishop takes time out in Cleveland, Ohio to chat with Congressman Louis Stokes in 1986 at the Shangri-La Hotel where Dr. Bishop had her office at the time while she was serving the city of Cleveland. Dr. Bishop enjoyed spending time on the set with Jineane Ford (former Miss America) of "Midday Arizona" (KPNX) in Phoenix, AZ. 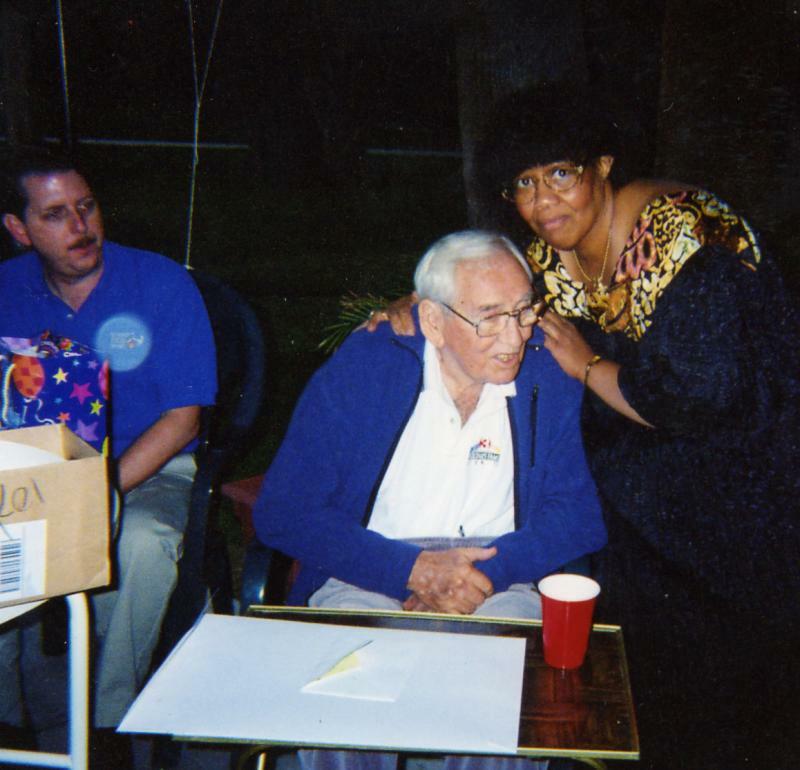 John Van Hengel, the father of food banking, was a very good friend to Dr. Bishop and felt she made the BEST chili EVER. Rev. 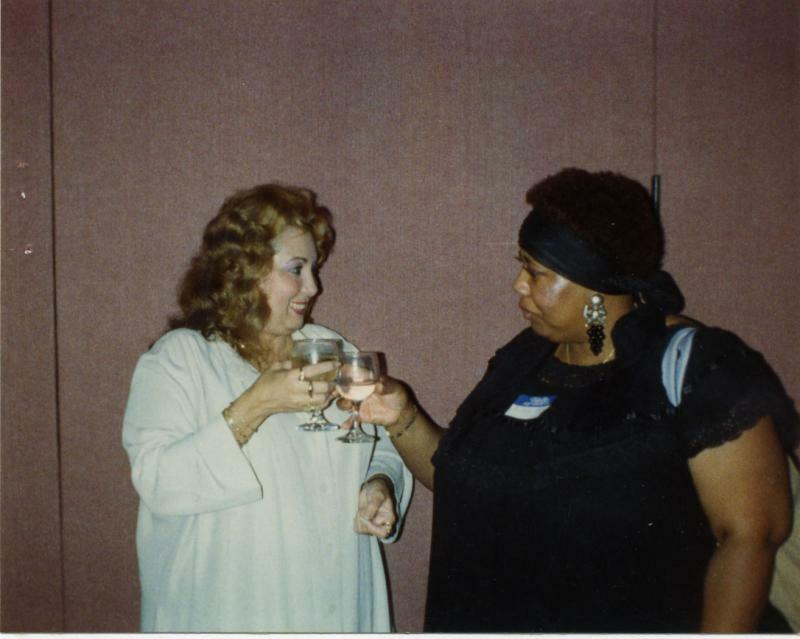 Bishop makes a toast with Miss Anita Cassandra, PRIMERA MENTALISTA DE LATINA AMERICA (which means #1 Psychic of Latin America), at the First International Spiritual Associates of America, Inc held at a prominent hotel in New York. She is also the founder and manufacturer of majia (magic). 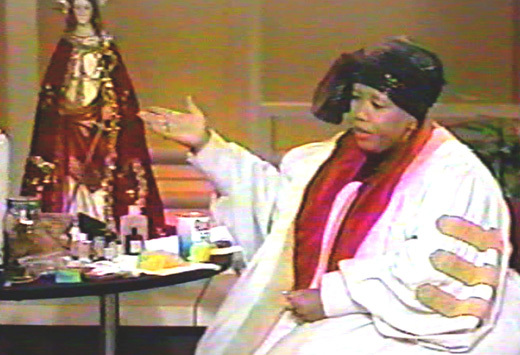 Dr. Bishop poses in Philadelphia, PA wtih one of her spiritual teachers in Candle Burning. 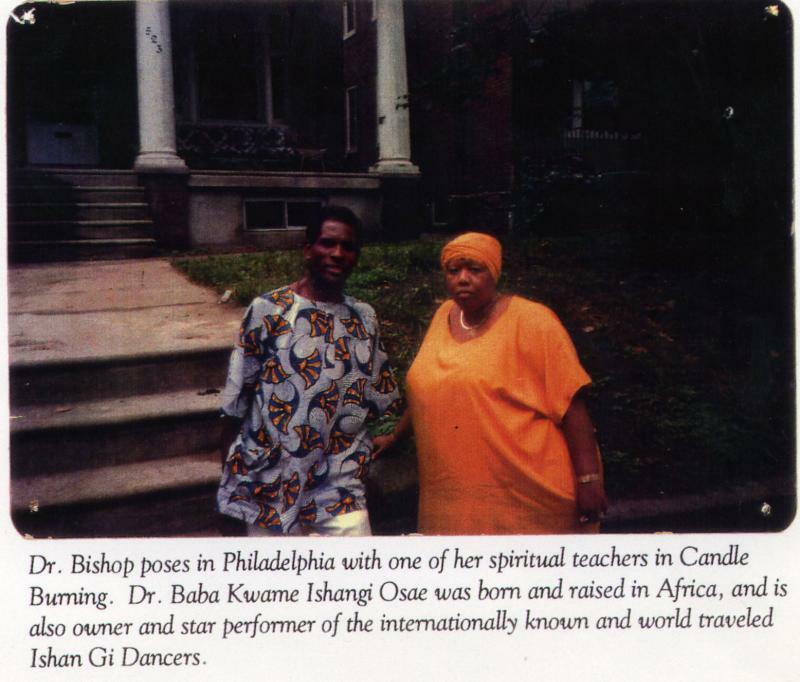 Dr. Baba Kwame Ishangi Osae was born and raised in Africa, and is also owner and star performer of the internationally known and world traveled Ishan Gi Dancers. 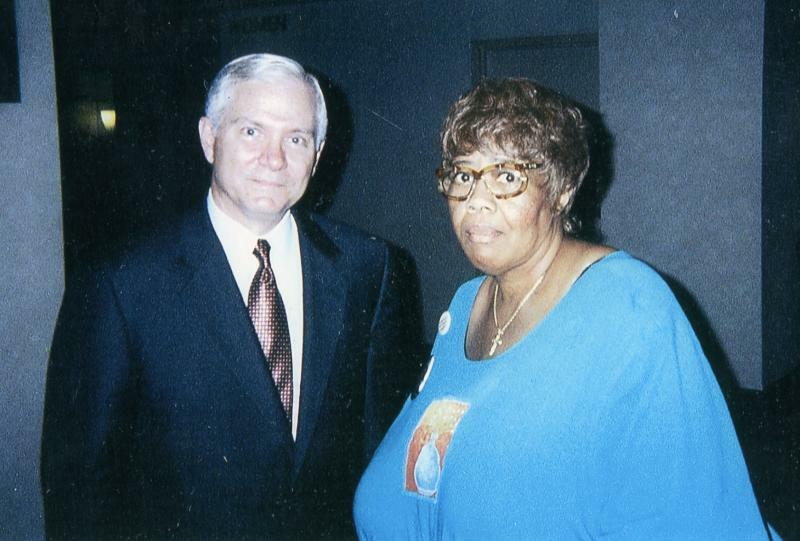 Dr. Bishop was elated when she met and talked with ex-CIA Director Robert Gates. 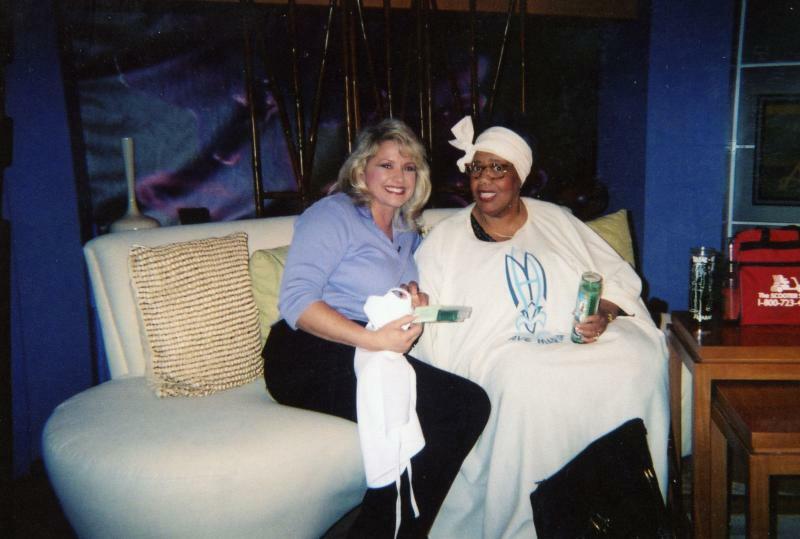 (In 2001 at the Hyatt Regency hotel in Phoenix, AZ.) He is now the commander of the Pentagon in Washington, DC (2007). 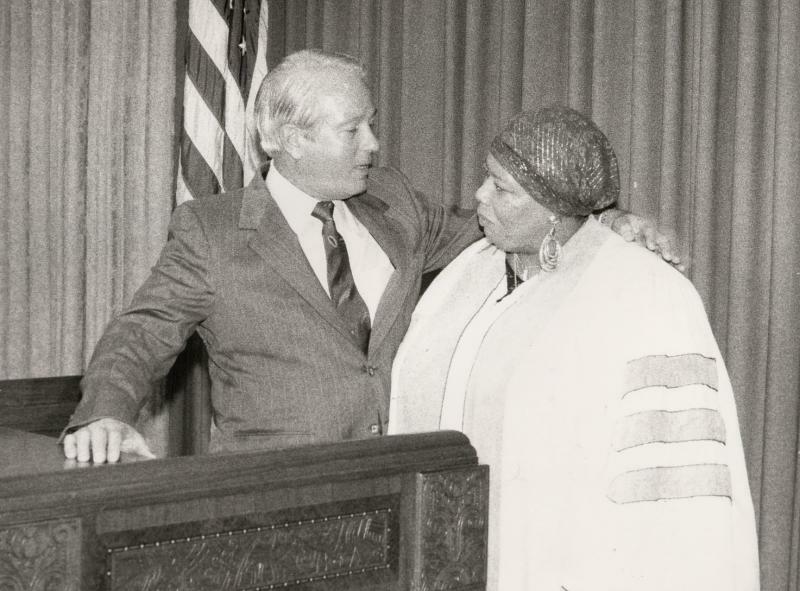 Dr. Bishop with Governor Edwin Edwards, continuing to assure her that she will be safe in the state of Louisiana. 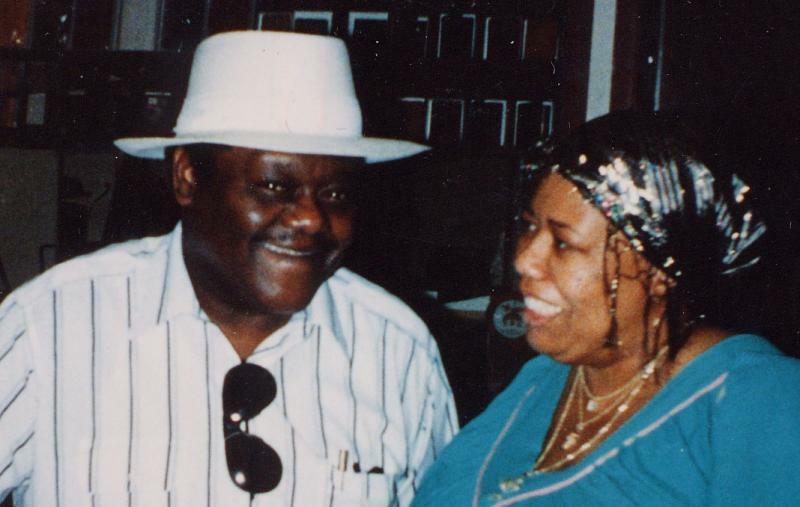 Fats Domino and Rev. 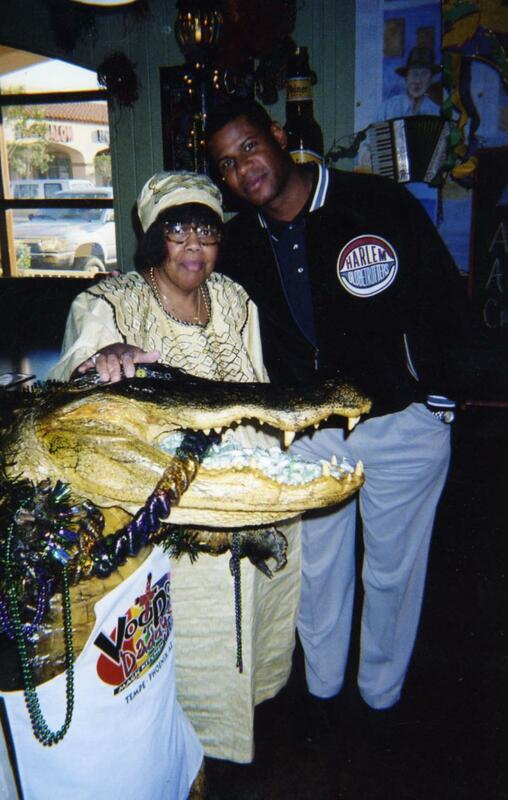 Dr. Lady Bishop have the same jeweler in New Orleans and spend a lot of time chatting about spiritual things and his songs and family. 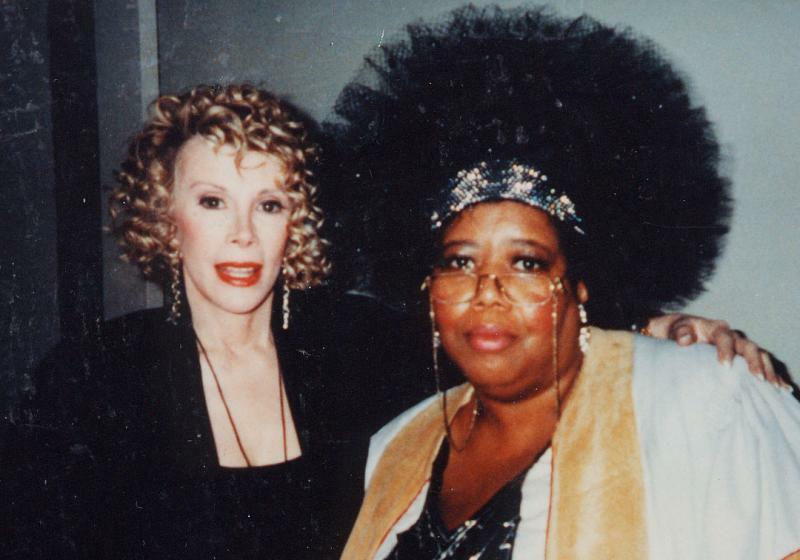 Joan Rivers invited Dr. Bishop for one of her talk shows in 1990. Rev. Lady Bishop poses in New York City with Rev. Ike after a service in Harlem, NY. "IN ORDER TO KNOW MEN, YOU MAY NEVER GIVE OUT YOUR WISDOM WITHOUT KNOWLEDGE OF HEAVEN; IT IS IMPOSSIBLE TO BE SUPERIOR IN LOVE, ROMANCE, MONEY AND HAPPINESS WITHOUT THE KNOWLEDGE OF HEAVEN." 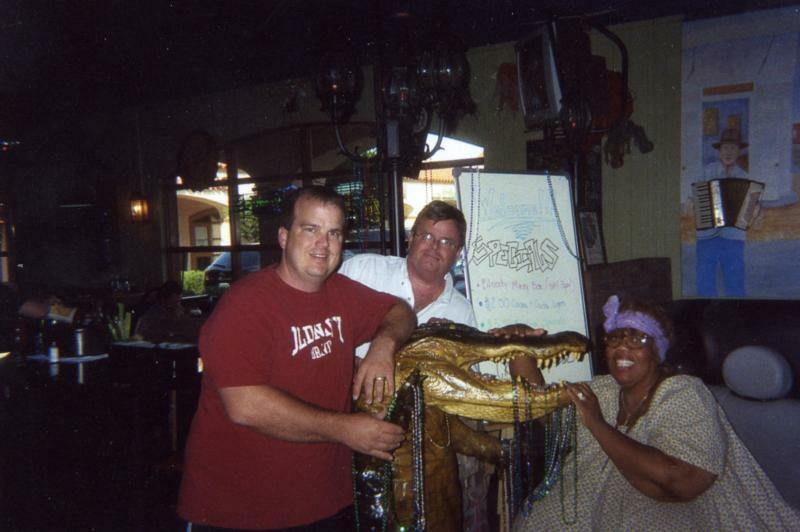 Scott, owner of Voodoo Daddy's, and Pat, General Manager of both locations take a few minutes to goof off with Dr. Bishop at the Tempe loacation. Scott has owned the clubs since Sept 2007, untill God knows when. 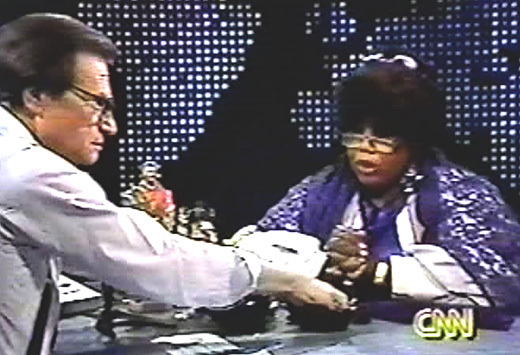 Dr. Morton Downey, Jr. and Rev. 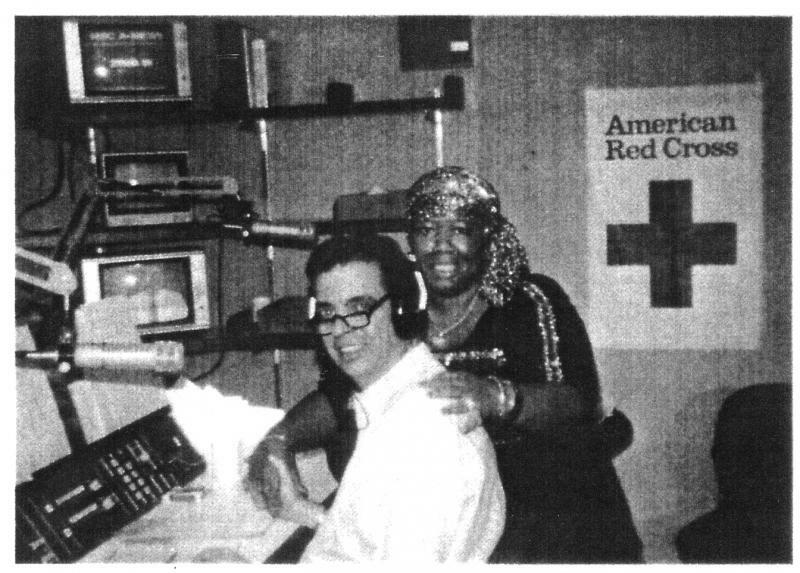 Lady Bishop on his radio broadcast WMAQ, Chicago, Il. 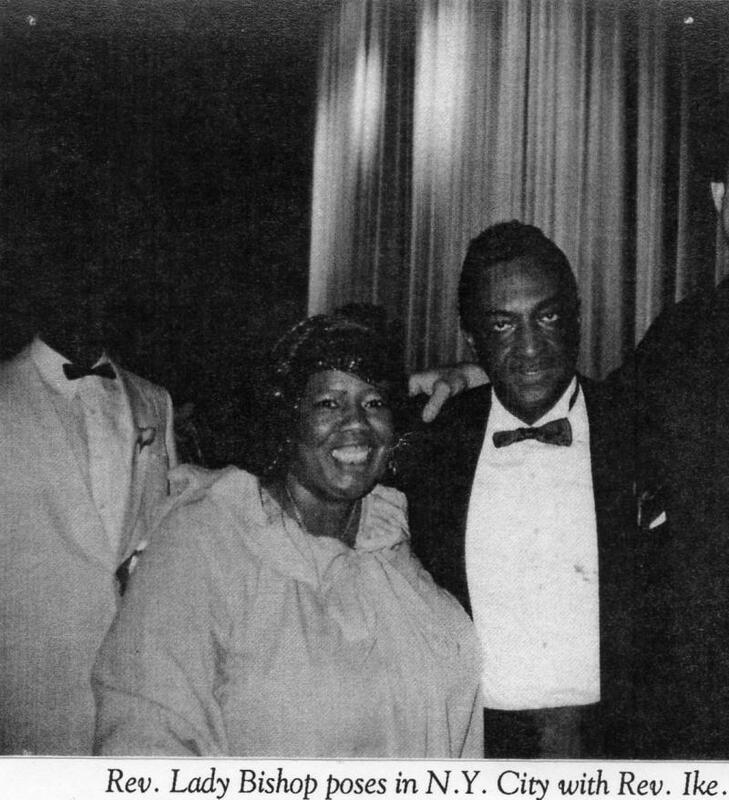 (Mr. Downey took a personal liking to Dr. Bishop from his first interview with her in Cleveland, 1985, and later had her on his television show in New Jersey. 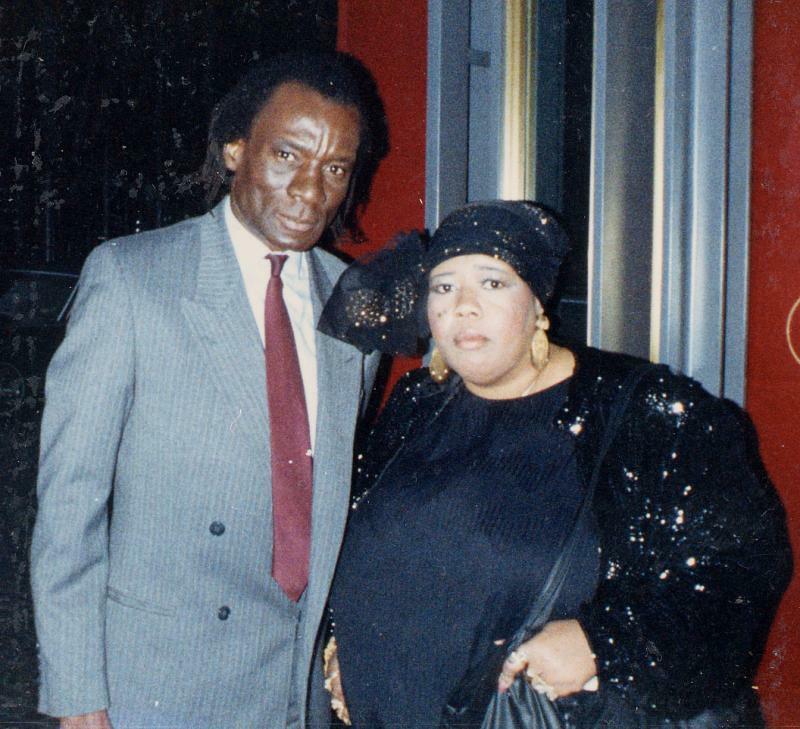 He was always worried about Dr. Bishops weight, and she was always worried about his smoking. Dr. Bishop was very saddened by his death caused by smoking. Mr. Downey thought Dr. Bishop was the hardest working woman in Voodoo - and respected it). Copyright Rev. 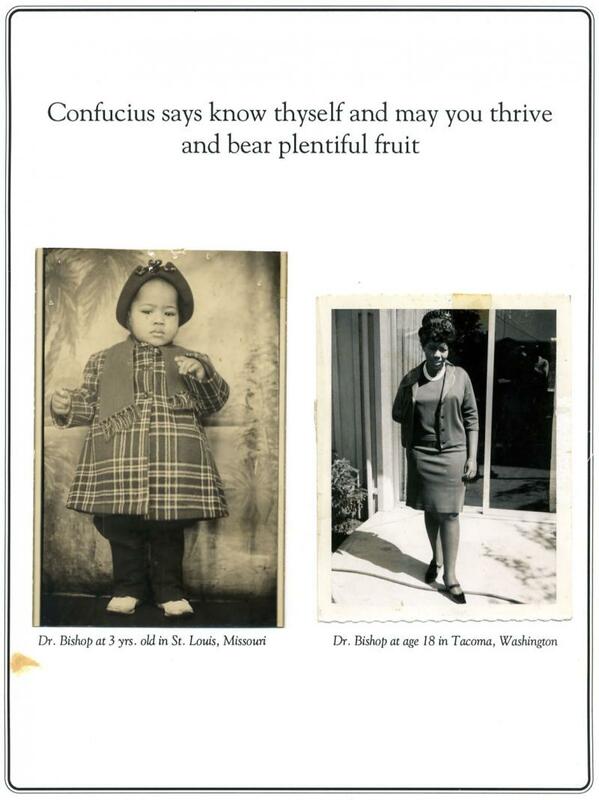 Dr. Lady Bishop, Inc. All rights reserved.